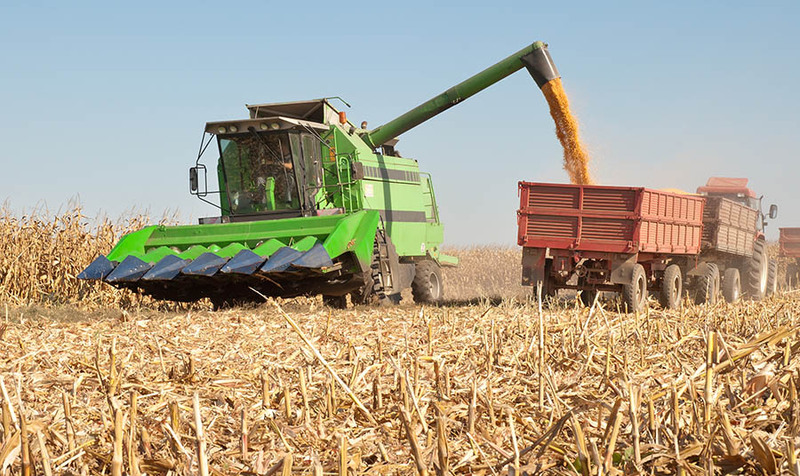 A new study conducted by researchers at the University of Iowa College of Public Health examined whole-body vibration exposures during the operation of several types of agricultural machinery. Whole-body vibration is defined as mechanical vibrations that are transmitted to the human body through a contact surface, such as a seat. A previous study found that costs associated with lower back pain in the United States exceeded $100 billion per year, two thirds of which are a result of lost wages and productivity. Reducing exposures to whole-body vibration can help improve health and may reduce long-term health care costs. Fethke’s team measured whole-body vibration by attaching sensors to the seats of more than 100 machines, including tractors, combines, forklifts, skid loaders, and all-terrain vehicles (ATVs), as more than 50 Midwestern farmers went about their daily routines. An additional sensor attached to the floor of each machine allowed Fethke’s team to examine how effectively the seats reduced the vibration levels. A paper describing results of the study appears in Annals of Work Exposure and Health. The average vibration levels were compared to the European Union’s (EU) whole-body vibration exposure limits, which are similar to recommendations made by the American Conference of Governmental Industrial Hygienists. The U.S. Occupational Safety and Health Administration does not enforce a whole-body vibration standard. The whole-body vibration levels of nearly 30% of the machines were high enough to reach EU’s “action level” within only two hours of operation. The action level is defined as the level above which the risk of health effects increases. Combines exhibited the lowest levels of whole-body vibration exposures, which, according to Fethke, is “likely due to a combination of the mass of combines compared to other machine types and the common presence of relatively sophisticated seat suspension systems.” The combine seats reduced by half the amount of vibration measured at the floor. Tractors and heavy utility vehicles did not fare as well, with average vibration levels about double what was measured on combines. “Special seat-based suspension systems, particularly on tractors, did not dramatically reduce whole-body vibration like we thought they would– it is possible that these suspension systems were not properly adjusted to the weight of the operator, or had degraded over time from mechanical wear and tear,” Fethke says. Farmers should check seat suspension systems to make sure they are greased and working properly. They should also make sure the seat suspension is properly adjusted for the operator’s body weight. This is especially important if several workers or family members will be operating the equipment. If the seat tends to frequently “bottom out,” even after proper adjustment for body weight and routine maintenance, it is time to consider a replacement. Finally, the potential effects of whole-body vibration on back pain and discomfort also depend on the operator’s posture in the seat. “As any experienced agricultural equipment operator knows, it is often necessary to lean far forward or look to the side or behind the equipment for visibility purposes. However, these twisting postures change how the body responds to vibration and can increase the risk of back problems down the road,” says Fethke. The study is one of few to look at whole-body vibration during the operation of agricultural machinery. The article, Whole-Body Vibration and Trunk Posture during Operation of Agricultural Machinery, is available online at https://academic.oup.com/annweh/advance-article/doi/10.1093/annweh/wxy076/5104230 . For posters and handouts in English and Spanish with recommendations on reducing whole-body vibration, visit http://bit.ly/WBVrecommendations.